I re-watched Seven Samurai again a few days ago. It’s long. Even if you were gauging it by Marvel standards, it’s hella long. Endgame will chime in at 3 hours, but Seven Samurai has an extra half hour on top of that. So this is one I revisit with less frequency than others, but regardless, the impact is always the same, and the benefit of not seeing it for 4-5 years at a time means by the time I come back to it, I pick up things I previously hadn’t, or get smacked by the awesomeness of things I forgot about. Seven Samurai really did write the book. Lets take things forward. We’re in the blockbuster age. Well and truly, cinema is running and chugging along off the back of big action spectaculars. Disney rules the roost, and encompasses Marvel under its wing. 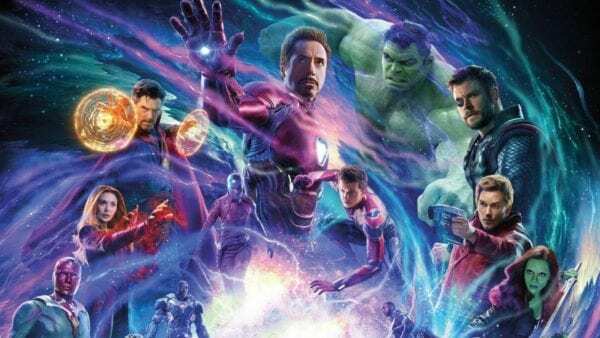 Every solo Marvel story gains huge attention (think of them like Yojimbo) but then you’ve got the gatherings in the Avengers trilogy which are whole other level hype. Star Wars was the film that really kicked off the blockbuster reign just over 40 years ago. Alongside George Lucas and the rising power of Steven Spielberg there was a distinct influence that affected both in their cinematic upbringing. Lucas in particular was hugely inspired by Kurosawa. 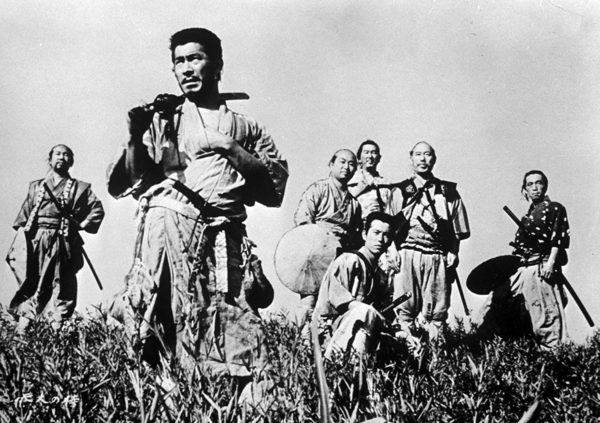 Star Wars in particular was influenced heavily by The Hidden Fortress, but in addition Seven Samurai. Kurosawa’s influence on Western cinema can’t be underestimated. Not merely thematically, but in terms of story construction, framing and editing. You watch a Kurosawa film and visually (aside from the black and white of his earlier films, and occasionally aspect ratio) they are so ahead of their time. Most of the iconic Westerns of the late 50’s and 60’s owed a huge debt to Kurosawa with Seven Samurai being remade as The Magnificent Seven. Yojimbo’s story of a stranger waltzing into town and playing two warring gangs off against each other has also been redone many times. These American counterparts, in turn had a big influence on blockbuster cinema themselves. In a round about way though, everything comes right back to the Western, given that early American Westerns also heavily influenced Kurosawa’s Samurai films. As I’ve said though it’s not merely the story. It’s the film making skill and craft which Kurosawa really set benchmarks in. 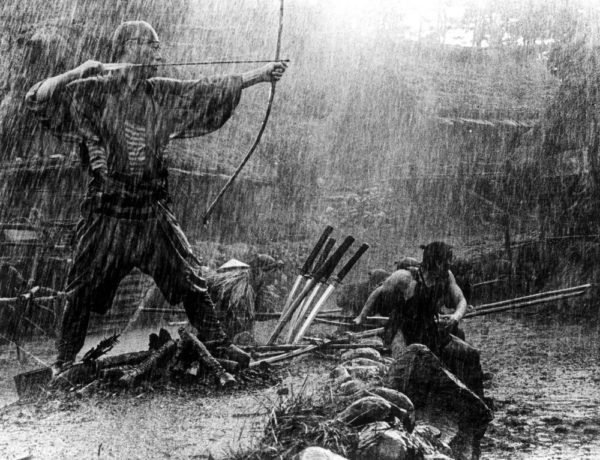 The rain sodden finale in Seven Samurai for pure gripping tension, thrills, drama and emotional impact has rarely been matched, and no amount of CGI enhanced mega budget spectacle from the Marvel boys has yet to come close. Infinity War was spectacular. It was insanely huge. It also had a bit of emotional punch, but it’s still no Seven Samurai. No matter how many times I see it, when Toshiro Mifune bows out of the film it’s a ‘goddamn’ moment. 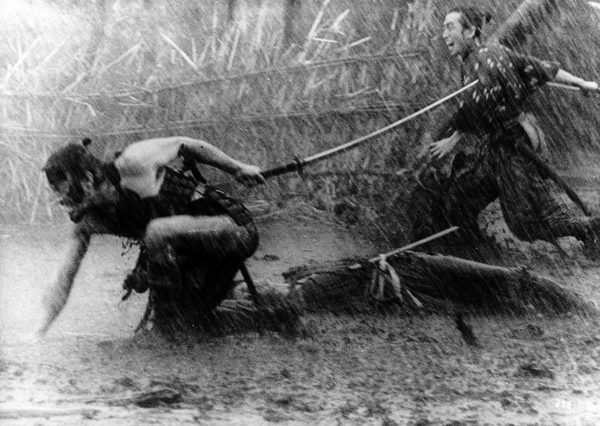 If you go back and watch Seven Samurai, it plays out very much like a Marvel film. The insurmountable odds are set early. A village of peasant farmers get wind that a group of bandits will raid their village in spring when their rice harvest is ready. They’ve got no chance. They decide to fight back, but must try to gather together a group of Samurai (and with the difficult task of persuading them to do it unpaid. It’s a bit like an allegory for modern indie filmmaking). Even those seven samurai know the odds are against them, but in their bones they’re all ready and willing to die honourably in battle. So you have heroes vs villains with the odds stacked heavily in the villains favour. What you’ve also got, peppered throughout Seven Samurai is wry humour and (man…can’t believe I’m gonna say banter, but to hell with it…) banter. 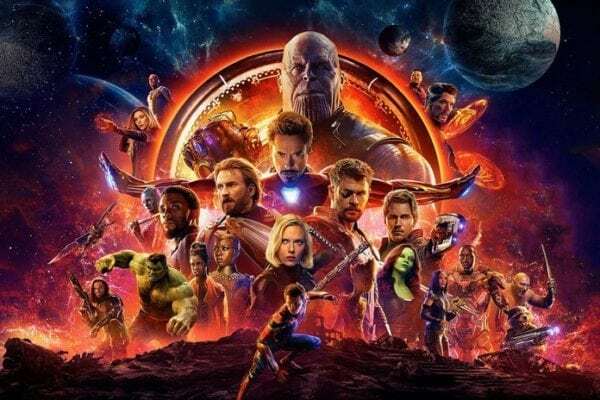 Humour is a key element in Marvel and when people think of the prospects of revisiting 65 year old films they may assume those films are humourless and dour. That could not be further from the truth with much of Kurosawa’s work. If the framing, editing and structuring of Star Wars owed a debt to Seven Samurai and The Hidden Fortress, so did the humour. Within the Samurai themselves are clearly definable characters. The head Samurai played by Takashi Shimura (Kurosawa’s second most famous collaborator) is intelligent, considered, straight-laced and a wizened master. Then you have a little friction with a man whose Samurai credentials are always called to question, played by Toshiro Mifune (Kurosawa’s most famous collaborator). Then the rest, including the youngster who is brave but in over his head somewhat. These kind of characters have since become archetypes. You can see it in everyone from Obi-Wan Kenobi to Han Solo, Luke Skywalker, Peter Parker, Tony Stark, Steve Rogers, Star-Lord etc. The Avengers took a cacophony of films spread out like a spider(mans) web to establish each character and their strength and weaknesses. Seven Samurai does it in a single film but the point is, we grow to care about the characters and their fates, and given those odds, we know not everyone will make it through. Every awesome moment feels that bit more awesome (like one samurai nonchalantly infiltrating the bandit camp at night to steal a rifle and coming back with no fucks given to have a nap before morning battle) and every death hits you. That aspect of team battle has become something immensely popular over recent years in cinema. 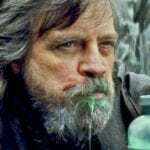 The lone hero is less popular now, and even in those solo projects, there tends to be sidekicks or cross-character appearances and again, it all goes back to something like Seven Samurai, the first great benchmark in the epic scaled action film. 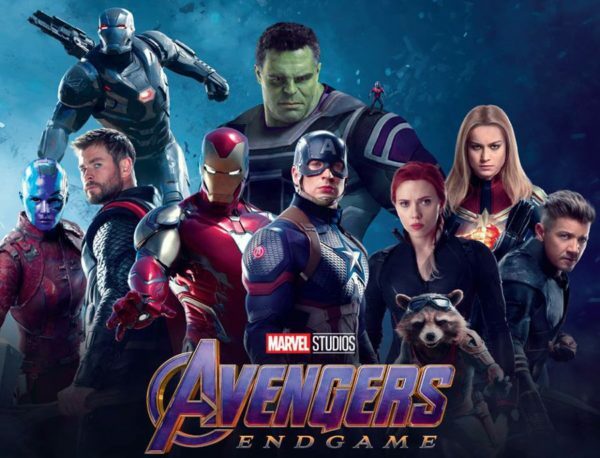 So when you’ve seen Endgame, and hopefully been blown away, spare a thought, raise a glass (wine, water, overpriced cinema soda) to Kurosawa’s masterpiece, because without it, you may not have had Endgame, and certainly not as awesome as it might be. Better yet, give it a watch if you haven’t. Let us know your thoughts in the comments below. What do you think of Seven Samurai?